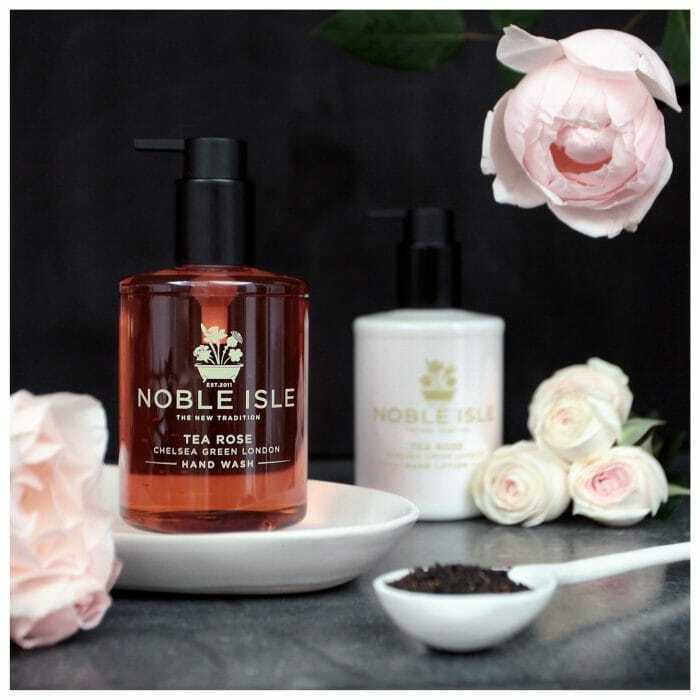 Our very own Managing Director Vanessa speaks to Noble Isle founder Katy in an exclusive interview below. They discuss the highs and lows of the high street and the best moments/memories within Collen & Clare’s journey! There has been a growing trend of consumers shopping from their arm chairs and turning to online shopping instead. But would you want the British High Street to suffer and see shops close? We certainly wouldn’t! There is something very special and incredibly British about wandering round the serenely, idyllic towns across the UK searching for that extra special gift and catching up over cups of coffee with friends. It is a great “day out” with friends and family and the magic of that can never be replaced. At Noble Isle we work with many outstanding boutique retailers around the country and we wanted to share their stories with you and encourage you to #ShopSmall. Today’s interview is with Vanessa the Managing Director of Collen & Clare, one of Britain’s 50 best boutiques, established in 2002 in Southwold. Can you tell our readers a little bit about yourself and your business? Collen & Clare opened its doors as a small shop in Southwold in 2002 with a simple plan; to create an environment that was welcoming, unassuming and provided an edit of some of the best brands out there whether they be super established, up and coming, timeless or have a great story behind them. Almost 17 years later we have three stores in Suffolk and Norfolk, a great website and a reputation for service and style that goes way beyond my wildest dreams. What makes your business extra special? The thing I am complimented on most is my wonderful team. We all have passion and enthusiasm and will go the extra mile without thinking about it. The fact that our stores are all in beautiful towns does help and has most definitely influenced the culture of ‘Collen & Clare’. Our mailing boxes have a simple quote on them ‘ a breath of fresh air from the coast’, we are special because we offer such a broad mix of great products that people don’t expect to find outside of London. Do you enjoy the customer interaction? Some of our customers call us ‘the drop in centre’ or ‘the corner shop’. Our neighbouring store in Southwold is a great butchers and often customers say ‘oh I’ve just popped out for some sausages’ and yet they walk out with a Collen & Clare bag. I have always said from day one that I don’t mind if a customer comes in and tries on half the shop or tests every product, it is only by seeing things on people that we learn how it fits and what works well with it. Our customers are wonderful; new, old, returning or annual visitors we welcome them all. I want Collen & Clare to really thrive in the coming years. We have grown quickly over the last 5 years, during some tough times that have seen the retail landscape change dramatically and the next chapter is about really working our stores and online shop to their very best. I do believe the role of a good independent store is to inspire and introduce new products, people still need to touch, feel and smell things and by offering knowledge and great service we will build on the great reputation we have now. Having stores in great destination towns has always been the key for me, I am very happy with our seaside locations making us ‘coastal and chic’. What’s the nicest thing about owning your store? I love walking into store after being away on holiday, I believe for those few moments you see the shop as a customer sees it. The smells, colours and warmth make me very proud. What is the funniest thing that has ever happened in store? We had a wonderful young girl working with us several years ago and the attraction between her and the young butcher in the store next door was undeniable. One day he ‘popped’ his head around the back door on some pretence or other, we knew he just wanted to see our colleague. She at the time was trying on a shirt and as he started talking to her the buttons on the shirt literally just popped open. Morgan, our wonderful Head of Retail just came out with the line ‘don’t you hate it when your clothes fall off’. We still smile about that regularly. PS the young couple dated for several years thereafter. We have been selling Noble Isle products for many years now and feel very much that they are part of what we do. The brand appeals to both men and women, very few do, and people genuinely come back for more. The integrity, heritage feel but modern approach matches what we do brilliantly, we love the direction it is going in and proud to be a part of it.